Construction of the Blue Line train project from Hua Lamphong to Bang Khae and from Taopoon to Tha Phra is 97.69 percent completed and the Blue Line extensions will be open to the public in September next year for the Hua Lamphong-Tha Phra-Lak Song section and in February 2020 for the Taopoon-Tha Phra section. 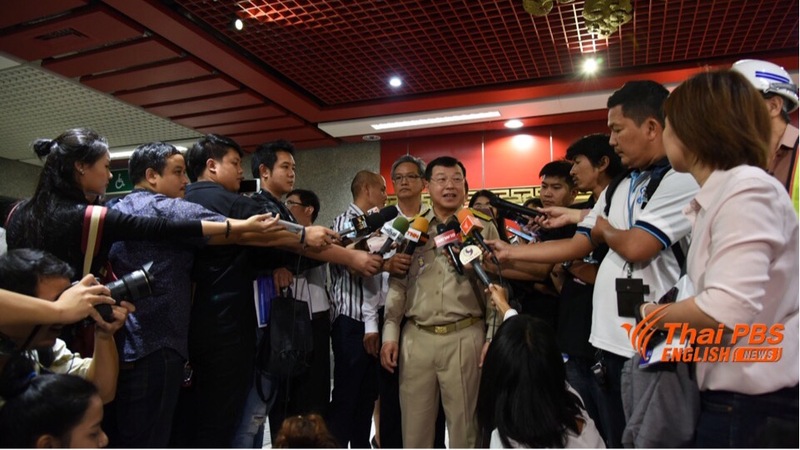 Deputy Transport Minister Pairin Chuchotethavorn on Monday conducted an inspection of the construction at Wat Mangkorn station in China Town area. 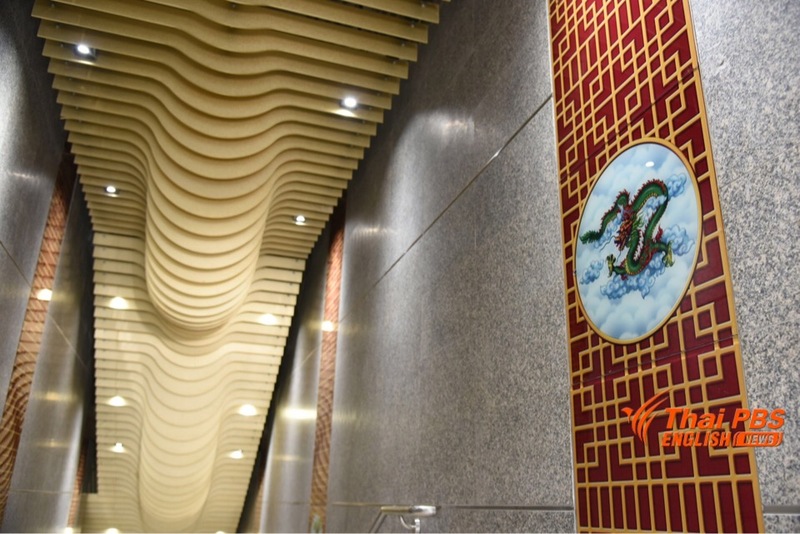 The Wat Mangkorn station of the Blue Line will be decorated with Sino-Portuguese architecture in compliance with the China Town environment. 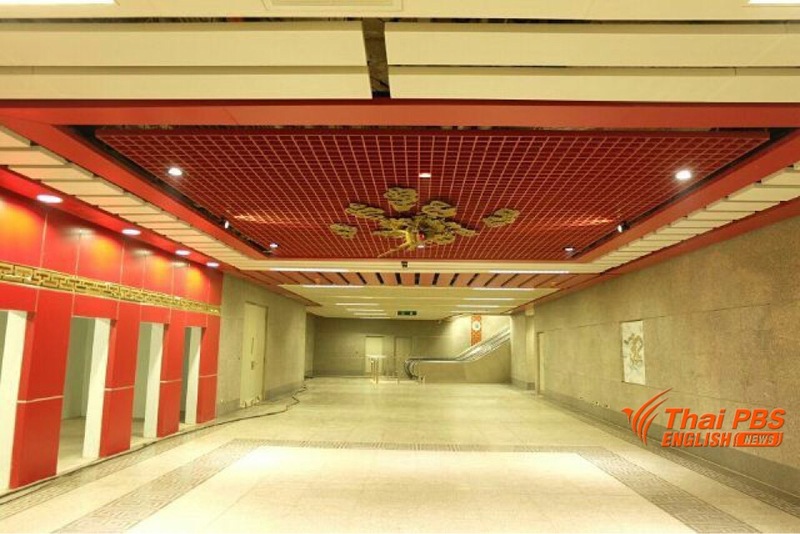 Dragon pattern will be the main theme of decorations and designs for the path leading to the station, the ceiling of the station and ticket booths with lotus pattern being painted on both sides of the walkway wall. The Blue Line extensions cover a total distance of 27 kms, with 15 elevated stations and four underground stations which are linked in the shape of a circle with the Hua Lamphong-Bang Sue subway route, with the Purple Line at Taopoon and the Green Line at Bang Wa station. Minister Pairin said three new train carriages will be put in service in next September which will help ease congestion during rush hours for the Blue Line. Currently, an estimated 300,000 people use the Blue Line each day. 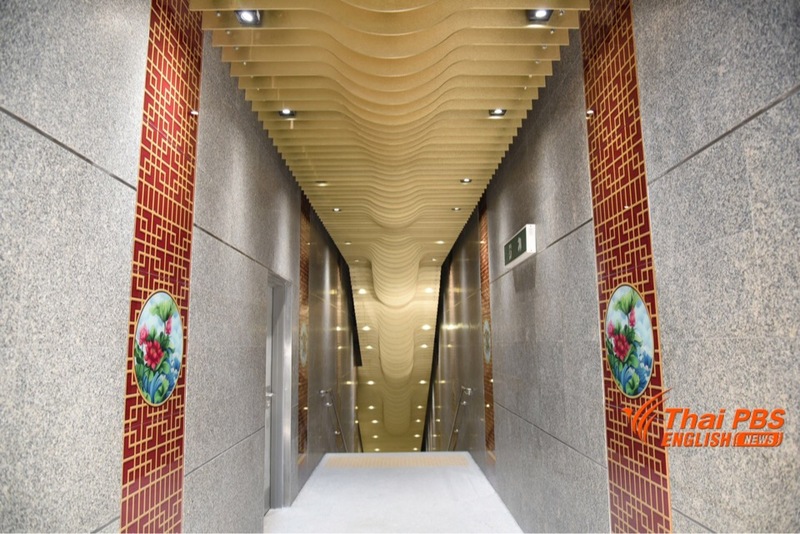 He disclosed that the underground tunnel under the Chao Phraya river has been completed while the design of Sanam Chai station will resemble the hall of Rattanakosin era.